Sessions, Workshops and Pre-Conference Labs. Top reason for attending is to find new ideas for ministry. + anyone who makes Sunday happen. SALT Conference gives you and/or your team the freedom to worship in an environment without having to work. That means you don’t have to worry about the lights, sound or video. You can put down that camera, because you don’t have to capture this for social media. You don’t need to be stressed over the announcements, the music or even the way everything flows. SALT is the place where the creative class of the church can experiences the freedom to encounter the presence of heaven without having to worry about anything! SALT prides itself on offering workshops that give practical “boots on the ground” training for those serving in the local church. We hate sponsored product pitches, we crave teachers who love to equip the local church, and we obsess over diverse leaders who can speak to a broad array of denominational backgrounds. With the 45+ Sessions, Workshops and Pre-Conference Labs at SALT Conference, this gathering is a must for anyone who wants to grow their creativity. SALT prides itself on offering workshops that give practical “boots on the ground” training for those serving in the local church. We hate sponsored product pitches, we crave teachers who love to equip the local church, and we obsess over diverse leaders who can speak to a broad array of denominational backgrounds. With the 45+ Sessions, Workshops and Pre-Conference Labs at SALT Conferences, this event is a must for anyone who wants to grow their creativity. Too often conferences plan every minute of the day where you don’t get to connect and learn from those who are also attending. Through community groups, food trucks, our colored wristband system and time between sessions, you’ll be able to share and receive from those in the community at large. At SALT Conference, we believe the church should be the church for the church too! A conference isn’t just be a place to learn knowledge, but a place to leave full of creative inspiration. SALT is a creative playground! Our team invests a significant portion of our budget to create environments that increase your sense of awe and wonder so you leave inspired. If inspiration breeds inspiration, then SALT Conference is the place to be! As one of our speakers said, “People don’t burn out from too much to do, but too little reason to do it” we believe that it’s vital to spend a few days away from home to refuel and reignite that ministry calling on your life. 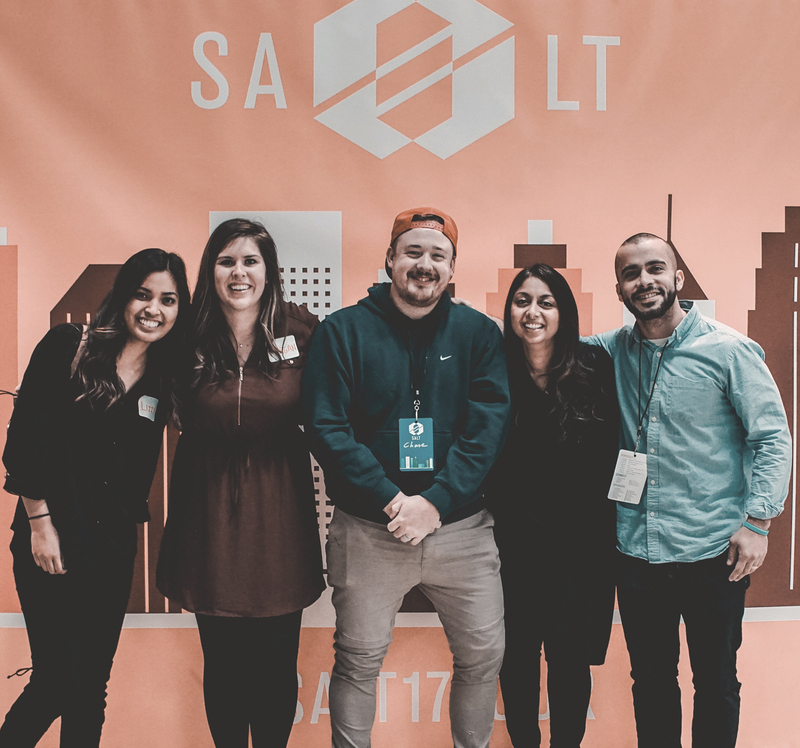 With phenomenal teachers, a bit of humor, heart-filled worship and a creative community who understand what you do every day, SALT isn’t just a conference, it will feel like the place you belong. Does your boss need convincing to let you attend SALT Conference? We’ve compiled some great resources as you try to help your leadership see the value and importance of going to SALT. Register for SALT Conference today for the best price, and lock in your spot at this amazing gathering of creatives in the Church. © SALT Conferences, a division of Orange Thread Media, LLC.